This foundation is actually amazing. It glides on smoothly and doesn't wear off. I don't really think it's a 25 hour foundation but it does last a long time. This is in the shade 200 Soft Beige. It is too dark for me, I need about 2 shades lighter (I'M REALLY PALE). I did wear this for a period of time and it looked OK. It blends in perfectly meaning I got away with wearing this shade. -I don't recommend wearing 2 shades darker foundation. But I was young. ahahah. This foundation is £7.99 and can be found at Boots.com. 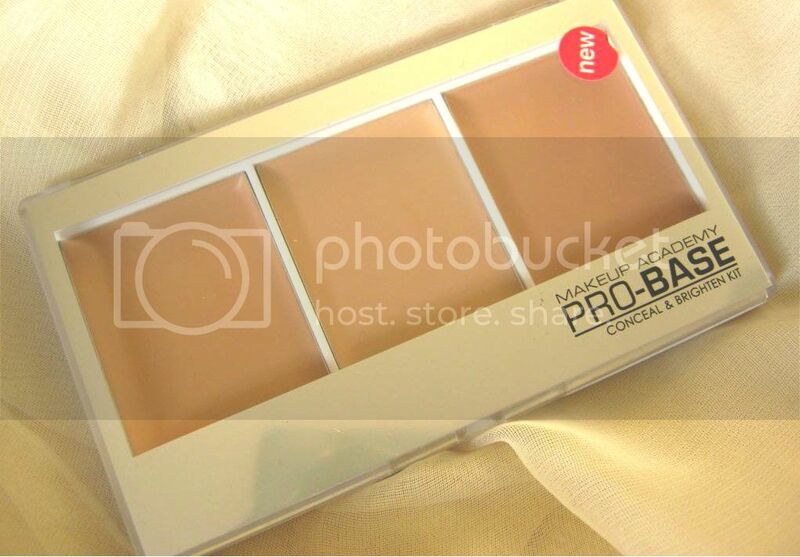 This concealer pallette is great. I have the lightest colour (Porceline) and as you can see from the swatches there is a peachy concealer. This is great for me because I have bluey undereyes so it contrasts so well. Then there is a normal concealer for blemishes and any redness. Then there is like this pink brightner. I am actually nervous to try this but i've been loving the other two. I use this pencil brush to apply the concealer and blend with my ring finger. The heat from your finger helps the cream concealers to blend. This is my ALL TIME favorite. As you can see the lipstick looks orangy red. But it's not. I was gutted when I realised it wasn't a lipstick but now I love it. When you apply a few coats it leaves a sheen, glossy look to your lips. It has a orange tint to it but it a beautiful orange. When you have a close up the lipstick in the tube has chunks of glitter. LOVE LOVE LOVE THIS.. I was thinking of doing a none beauty favorites, would anybody like to see that?